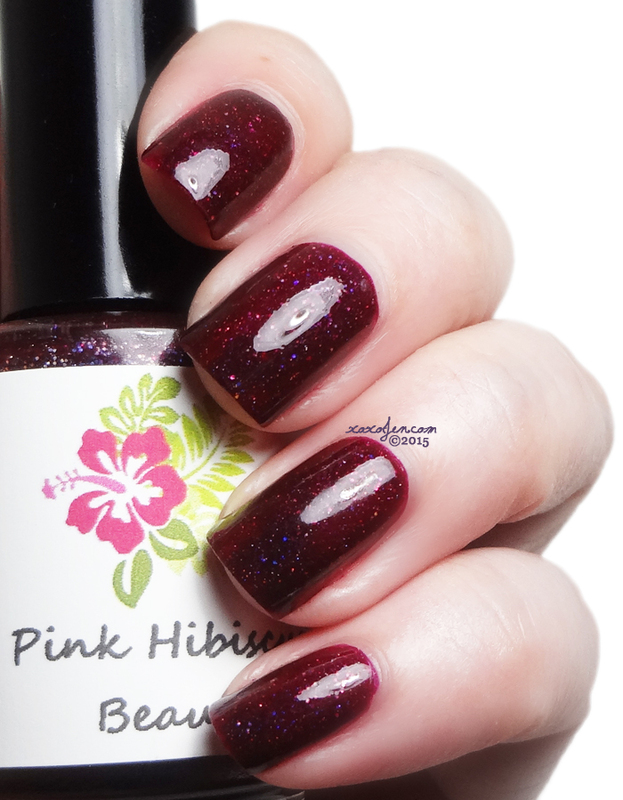 The Holidays in New England Collection comes from a brand I haven't tried before called Pink Hibiscus Beauty. I found the color palette attractive and finishes varied, so I think there is something here for everyone! This collection has already launched and is available now at the shop. White shimmer cream with ultra chameleon chrome flakies and a scattered holographic finish. Because there is so much going on this polish and because it's such a light shade, the camera picks up shadows that sometimes look like texture but aren't. 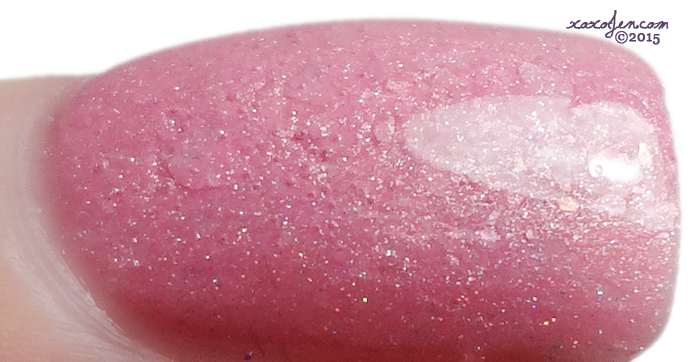 The formula was very smooth and shimmery, the holo and flakies are subtle, definitely office appropriate and feminine feeling. I wore two coats with topcoat, formula was smooth. 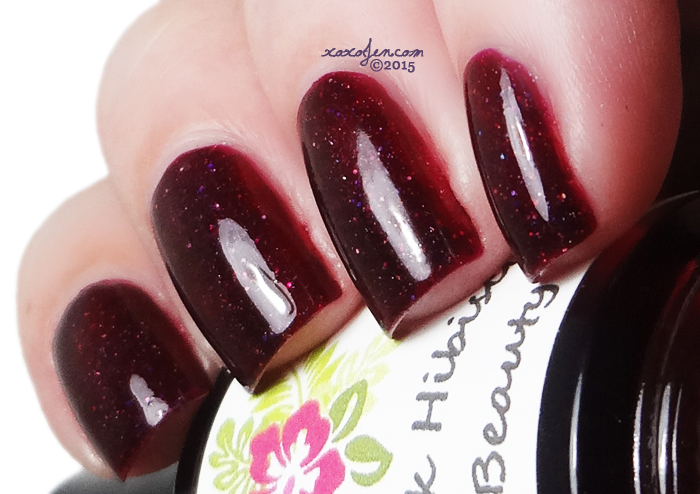 Deep "merlot" red crelly with holographic micro glitter and a scattered holographic finish. 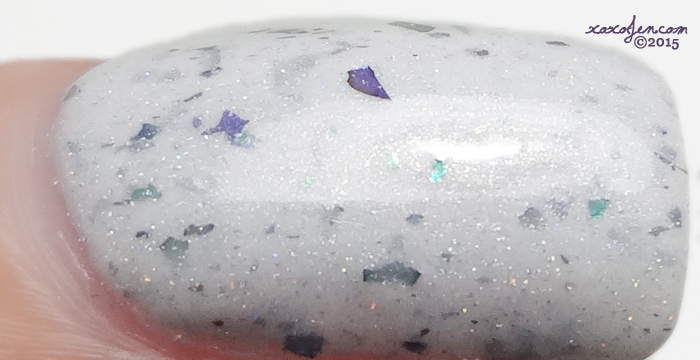 Such a squishy jelly like finish on this one and the holo sparkle has such depth! It reminded me of blackberry juice as I painted it on and when done looks like a jam! 2 coats and topcoat worn. 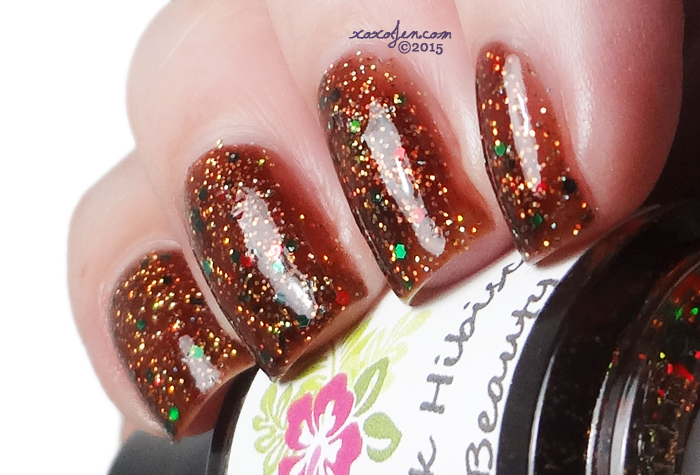 Brown jelly with gold holographic micro glitter, and red and green round glitter. As the one above, depth and squishy factor ya'll! I think this would be perfect for one of those ugly sweater stamping contests - although it is rather beautiful! 2 coats + gelous + topcoat to smooth. Navy Blue/Deep purple color shifting polish. 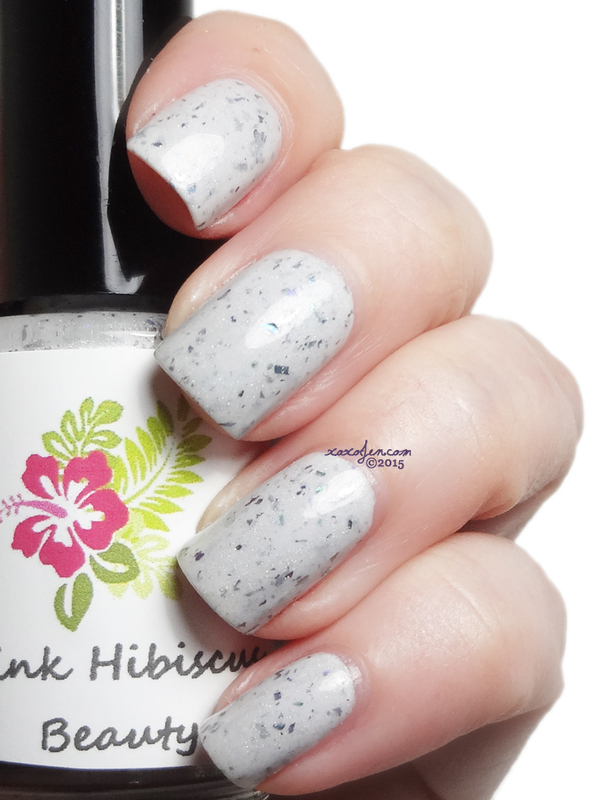 This polish has ultra chameleon chrome flakies and a linear holographic finish. Favorite of the collection! I love the way the flakies flash purple when they catch the light. Pretty awesome polish right here. 2 coats and topcoat. 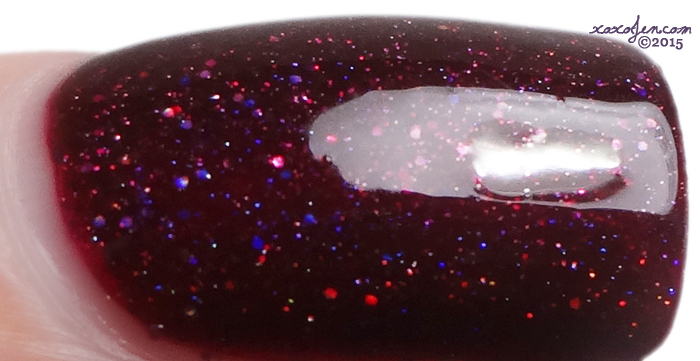 The formula was was fluid and smooth on each Pink Hibiscus Polish, no issues to report. I liked how squishy the jellies were and how smooth and easy to apply the crelly was. 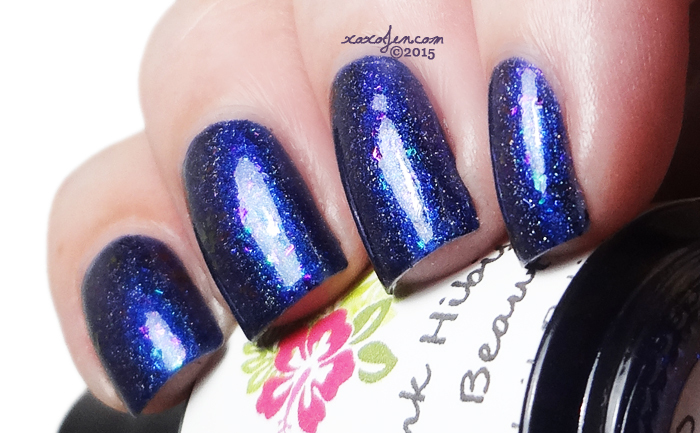 But my favorite shade had to be a holo - Boston at Midnight! I hope you've enjoyed the review and photos - please let me know by commenting, liking my facebook page or following me on pinterest! Merry Christmas ya'll! Lovely swatches of this collection.